Kindergarten and Preschool Orientation will be held on Tuesday, April 3rd at 6:00 PM in the Multipurpose Building at the Alton Elementary School. Any child who will turn 5 before August 1st is eligible for kindergarten. 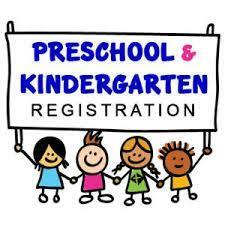 Any child who will turn 3 before August 1st is eligible for preschool. 4 year olds may also attend preschool. Please bring your child's shot records, birth certificate, and proof of residency (piece of mail) with you to the orientation. At the orientation, you will be asked to complete enrollment forms for your child. If you would like to complete the packet prior to orientation, simply complete the forms and bring them with you to the orientation. Printable Enrollment forms can be found online at http://www.alton.k12.mo.us/o/a... During orientation, you will schedule a time for your child to complete screening for kindergarten as well. The dates for screening have been set for April 5th and 6th in the Elementary Library from 8:30-3:00. If you have questions, feel free to contact Alton Elementary at 778-7217. We hope to see all preschool and kindergarten eligible children at screening! We cannot wait to meet our future Comets!!! *Please note that future students are not required to attend orientation. This is a night set aside to complete paperwork. Students must attend screening.